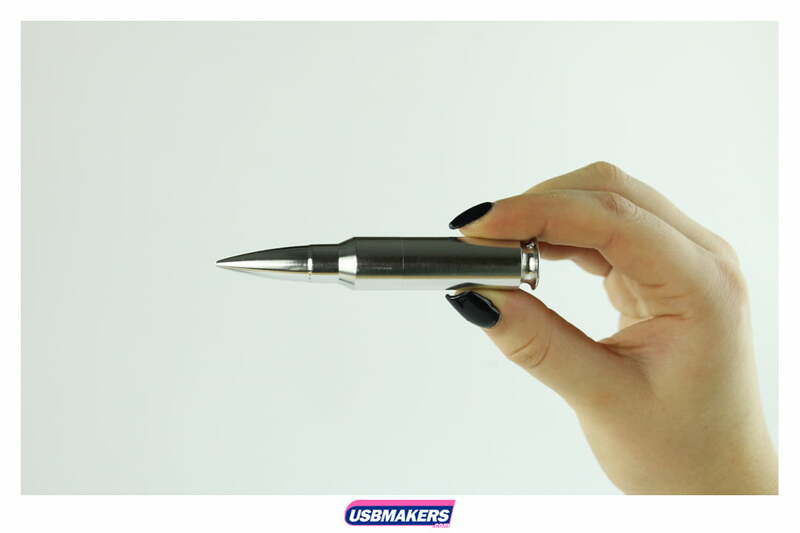 The Bullet USB Drive is a spectacular USB style! It is one of our newest in fact and has the potential to be one of our best sellers! 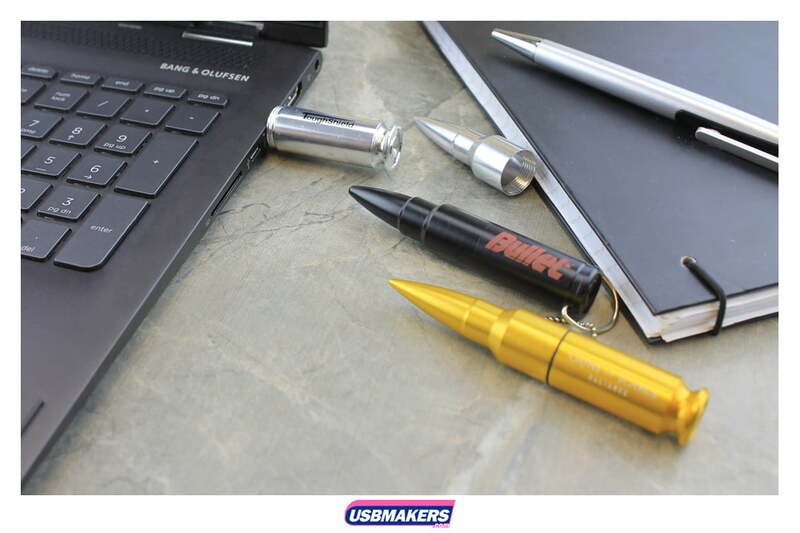 The Bullet USB Drive is available in gold, silver and gunmetal. Tampo printing is required for the Bullet USB Drive due to its circular shape. 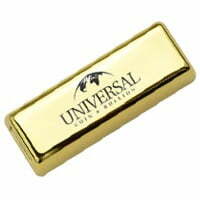 We would recommend the simplest of logos for this specific USB style. Engraving can also be achieved on this exclusive style for a small additional charge per unit. The minimum order quantity of The Bullet USB Drive differs from other designs in our product portfolio. 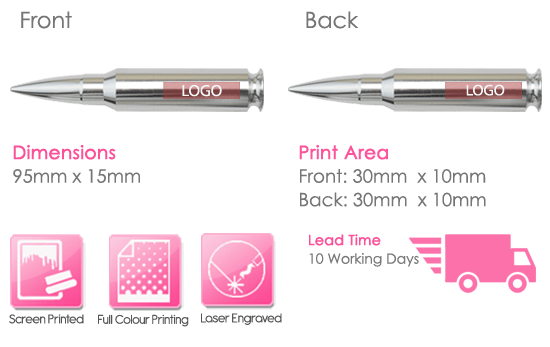 For an order of 100pcs or higher The Bullet can be laser engraved or printed, providing the logo isn’t very high. The minimum order quantity for larger logos is 200 pcs, due to the curvature of the style. For more details, please contact a member of our team with your logo. 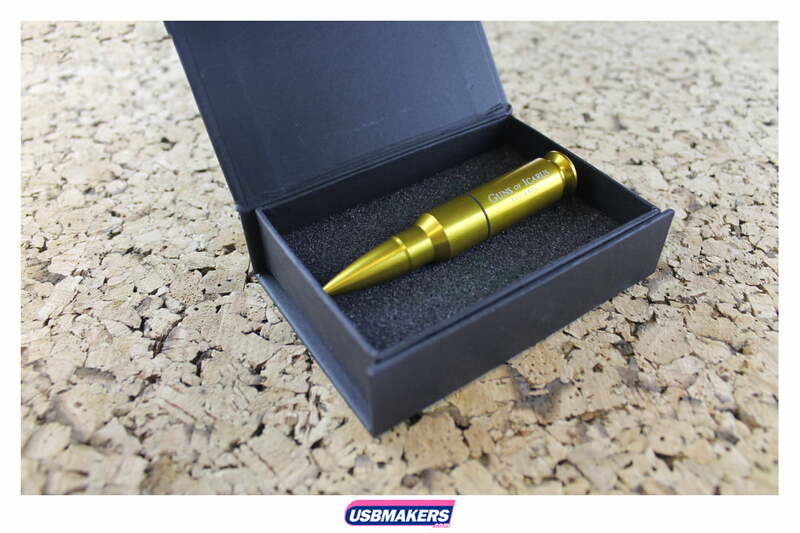 The smallest memory size available for the Bullet USB Drive is 128Mb and increases to an extraordinary 64Gb. Free data upload up to 400Mb is also available to all of our customers for this style. Please call us for more information. Please describe in the box below, USB Colour, Text you may require, Text Colour, Font and any other information that will help us to create the correct USB mock-up for you. Accepted file types: jpg, png, ai, psd, eps, pdf.